Whether you are a homeowner, business owner, or the government you need good quality furniture. For most people this means a trip to your local furniture store or a shopping expedition on the internet. But government entities cannot go that route. They have special requirements for not only price but performance. A type or piece of furniture must be either on an approved list or go through an approval procedure. All this red tape aside someone must provide this product to the government. GSA schedule 71 was designed for just this purpose. It has been designed to unite small business owners who specialize in furniture and the government entities that need the product. If you think about all the opportunities there are for furniture sales to the government you will realize that this is a huge market that remains largely untapped. There are many categories that are included in schedule 71. The armed forces need lots of furniture to keep the enlisted happy, whether it’s housing units or barracks they need things like beds, dressers, table, couches, and other furniture. Offices throughout the government need desks, chairs, computer accessories, filing, and storage, as well as conference room furnishings. This can be an excellent opportunity for small business owners who specialize in any of these types of furniture. Unlike many of the other schedules that deal with mostly services, there are some very specific requirements that the furniture supplied must adhere to when furniture is purchased. If you feel that you can provide this valuable product at a good price it may be time to get your small business registered under schedule 71. Once you have registered and been verified you can work toward getting awarded a contract to supply furniture to the federal government. All the information you need can be found on their website but if you’re wondering what types of requirements they have a good example would be furnishings for military housing. In this realm, one of the biggest qualifications involves the use of energy star appliances. Additionally, there are requirements that involve using products that are recycled. If your small business deals with products that fall into this category you will have a step up from the competition. You may even want to adapt your business to include some of these items to help you get a contract with the government. Going green is not the only requirement for contracting with schedule 71. If you are specializing in office furniture it may be necessary to have some training in the proper set up of an office environment. We all know that how an office is assembled will have a huge impact on how the office runs. It is important to not only supply the office furniture but to be able to help design the layout of the office. Another place your expertise can be utilized is in the installation of these furniture products. Although some furniture can be delivered and simply put into place some items will require more knowledge upon delivery. For example, a new stove, refrigerator, or dishwasher might require someone with knowledge of plumbing or electrical. New carpet will require installation. These functions are part of schedule 71 so as a small business owner, you might need to expand to include these professionals. If you are just thinking about starting a small business this can be a great way to get some income coming in almost immediately. By doing your homework and modeling your business after the services and products that the government wants, you will be able to fit into a niche that may not be filled already. Another advantage of gaining a contract with schedule 71 is that once you have modeled your business to meet the requirements you will be able to continually get new contracts. This is an almost guaranteed way to make money. Many suppliers will not be willing to jump through all the hoops necessary to sell furniture and accessories this way. We all know that less competition means more business for you. Schedule 71 is a great way for small businesses that specialize in furniture to increase their earnings or expand their business. Working for the government can be very profitable whether you are just starting out or looking to expand. If you need help getting on GSA schedule 71, contact GSA Scheduler or give us a call at (518) 360-2107. 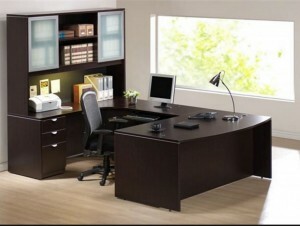 Click here for specifics on packaged office furniture.